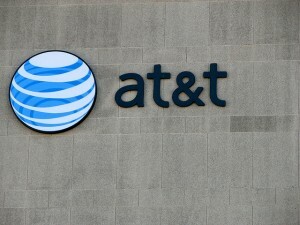 After Verizon Communications Inc. (NYSE:VZ) had given a mixed prognosis for the telco sector, the focus inevitably shifted onto AT&T Inc. (NYSE:T) and what it would be saying over spending. Going into the results there was a certain amount of hope and trepidation. Hope because it had previously excited the telco industry by outlining its plans to step up spending over the next few years. Trepidation because other tech companies have been warning of weak spending by the service providers. It looks like the pessimists won. AT&T Inc. (NYSE:T) declared that it was keeping its capital expenditure forecast at $21 billion for this year but reducing it to $20 billion in 2014 & 2015 from $22 billion previously. Moreover, its subscriber numbers and revenue trends were disappointing, and the stock fell heavily on the day of the results. Nor was there any let up in the negative commentary over the levels of caution being exercised by the enterprise sector. Verizon Communications Inc. (NYSE:VZ) had argued that its enterprise customers were being very cautious and still stuck in cost cutting mode. AT&T Inc. (NYSE:T) said pretty much the same thing. So it is a story of a weaker trading environment coupled with less spending by the major carriers. This is not great for the service providers and neither is it good news for the companies that supply them. While AT&T Inc. (NYSE:T) is not the only telco carrier out there, it is a huge company whose conditions do strongly reflect overall market conditions. The usual bugbears were mentioned: persistent unemployment, regulatory fears, political instability, government budgets etc. Frankly I’m coming round to the view that there is a bit more going on here, and the clues are in what the major carriers are saying about trends within their operations. Simply put, things like smartphone penetration, cloud based activity and the shift to wireless from wireline services have increased in a quicker fashion than many companies had expected. It is a case of the good, the bad and the ugly. The good is the margin and revenue generating opportunities inherent in increasing smartphone penetration (they churn less, use more data etc). The bad is the implied loss in wireline revenues and small business choosing not to use them. And finally the ugly is the period of uncertainty that accompanies businesses when they adjust to unforeseen events. I want to talk more about the last point. Apologies for going all ‘Donald Rumsfeld’ on you, but it’s the best way to describe the essence of the big question in technology investing. In other words, what effects will the rate of technological change have on my business?